Accurate and reliable measurements are a key factor in today’s competitive manufacturing environment. Universal’s patented Concentricity Gages offer precision accuracy transfigurations tough its measuring roller systems, which have proven results in a variety of industrial applications. We offer more than 45 different accommodate a variety of machine components with indicator positions from all sides and all angles to meet your measuring specifications. 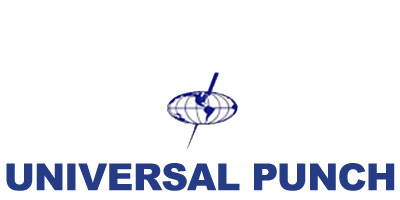 Universal Gaging Division has been designing and manufacturing the highest quality run out and concentricity gages for the machine tool industries supporting Aerospace, Automotive, Commercial, Defense, Electronic, and Medical businesses for over 40 years. We strive to continually create new products and always be attentive to the needs of our customers. We are committed to providing precision and excellence in all of our products. Universal Pro-Fixture Series™ is an adaptable and versatile gaging system made out of high-tensile, plated aerospace aluminum. Fixtures of all kinds and sizes can be assembled quickly using single components chosen from the large variety available. Modular design and extreme flexibility facilitate the adaptation to many different tasks in quality assurance for mass production, pilot production, tooling and prototypes. Outstanding quality standards, proven functionality, Cost-effective solutions – with these advantages the Universal Pro-Fixture Series™ system sets a new benchmark in measuring and clamping technology. The Pro-Fixture Series™ bases with longitudinal slots provide the basis for accurately positioned fixtures and repeatable measurements. The fixtures can be configured according to individual requirements in combination with special holding and clamping elements for specific types of parts. This system offers the customer the opportunity to create inspection fixtures using the “do-it-yourself” principle by providing a modular system with re-useable components. Many standard features, off the shelf components that can be assembled by the customer for a variety of general gaging applications.